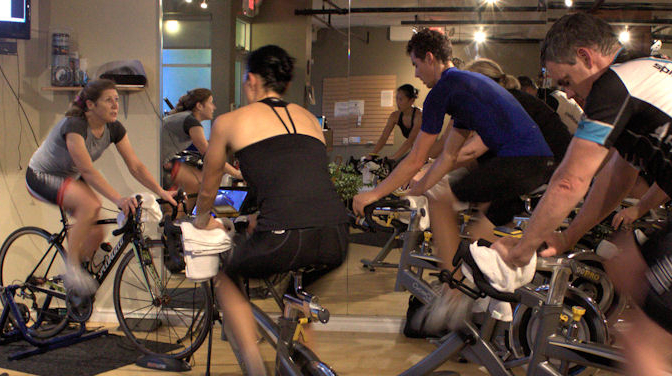 What do you call Indoor Cycling? Is it a large “spin” class on “spin” bikes or a progressive cycling training program designed by an experienced coach for the ever growing cycling community. The choices are available; expect to become a stronger athlete, an improved cyclist, able to climb those hills, be gear knowledgable when you attend a performance coaching ride. When? Throughout the year. With time crunched schedules and families, work and travel, take it indoors for a quality, specific workout. Great tools will give you greater results. Why would you do an Indoor Cycling class with a certified pro coach compared to a ‘spin’ class with a Fitness Instructor? Nothing wrong with either. A certified coach is like a golf or tennis pro, a swim or hockey coach, these are professionals who work full-time in their sport, they have past competitive results and know both the correct way of performing the sport as well as the ability to correct form. If you don’t need that or want that, you know about it and can make a choice. Workouts will give you watts of power! How do you know when to choose a cycling pro coach? Do you have a bicycle tour in California or Italy in your future, a gran fondo or a sportive, a road race, triathlon, duathlon or would like to know how to climb the local mountains with ease (or at least without throwing up!) Then go with the pro that has coaching and road riding experience, preferably in all of those! And who are you to think you would have pro coach? You recognize the need to have an expert, you don’t want to spend the time to DIY, do it yourself. You want feedback, a plan, a vision of the cyclist you can see and desire to express. 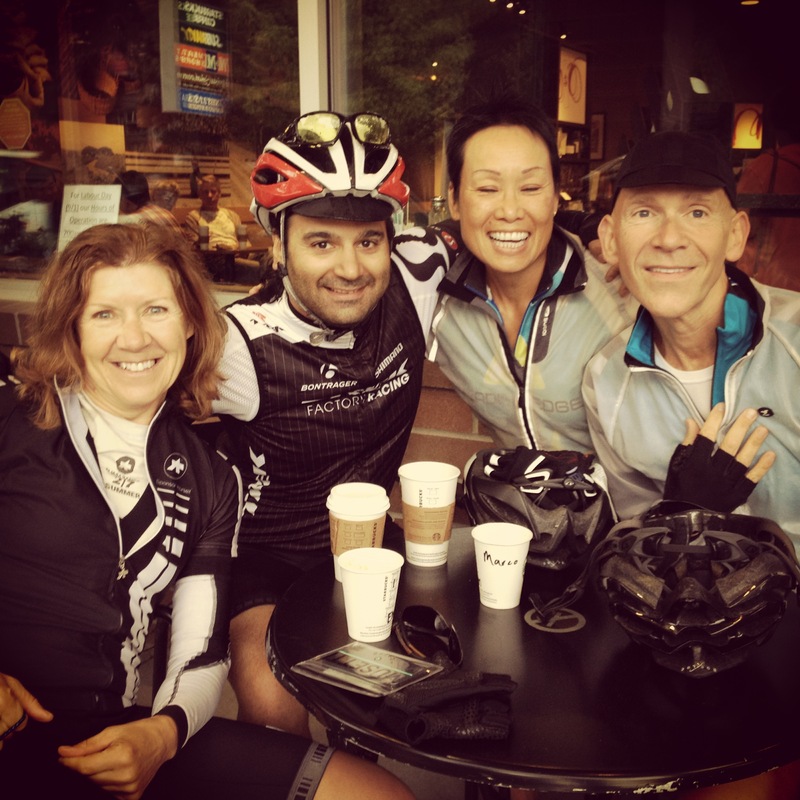 You love riding, being social, making it part of your life sometimes more, occasionally less as time allows. Where is easy! performance coaching has 2 locations, with WattBikes and CycleOp bikes and trainers. We look forward to seeing you soon.